Part one of this series addresses the differences between LinkedIn’s and the résumé’s first impressions; the photo and Branding Statements. This post will address the differences between the résumé’s Core Competency and LinkedIn profile’s Skills and Endorsements, which are distinct in their own way. LinkedIn enthusiasts create profiles that are dynamic, while others who don’t understand the purpose of LinkedIn, simply copy and paste their résumé to their profile and call it a day; done, complete, finito. That’s not enough if you want to attract visitors to your profile, including potential employers. If you believe your LinkedIn profile is your résumé, you are mistaken; there are distinct differences. Of the résumés I critique on a daily basis, I notice that many people neglect to include a Core Competency section. This is a mistake, for this section provides an ideal place to highlight the must-have skills for a position, as well additional skills that can be a tiebreaker. If you’re sending your résumé to large or mid-sized companies that uses an applicant tracking system (ATS), the Core Competency section is a great place to include those keywords. Skills that are easy to scan by human eyes and keywords that will be captured by the ATS are the goals for this section of your résumé. LinkedIn places a great emphasis on skills/areas of expertise as evidenced by its Skills and Endorsements area. This section allows you to list as many as 50 of your strongest skills. In addition, your first degree contacts can endorse you for any of your skills with a simple click. (The jury’s still out on the value of Endorsements). The most obvious difference between the résumé’s Core Competencies and LinkedIn’s Skills and Endorsements is the quantity you would include on your LinkedIn profile vs. your résumé. The example of the operations manager’s above lists 15 core competencies, a good number for someone in that position. On the other hand, the Skills and Endorsements example below lists close to 50, which would be far too many for a résumé. This is LinkedIn’s attempt at encouraging its members to tout their skills and expertise, as well as increase the keyword count. Another noticeable difference are the tidbits of information provided under the covers of LinkedIn’s Skills and Endorsements feature. 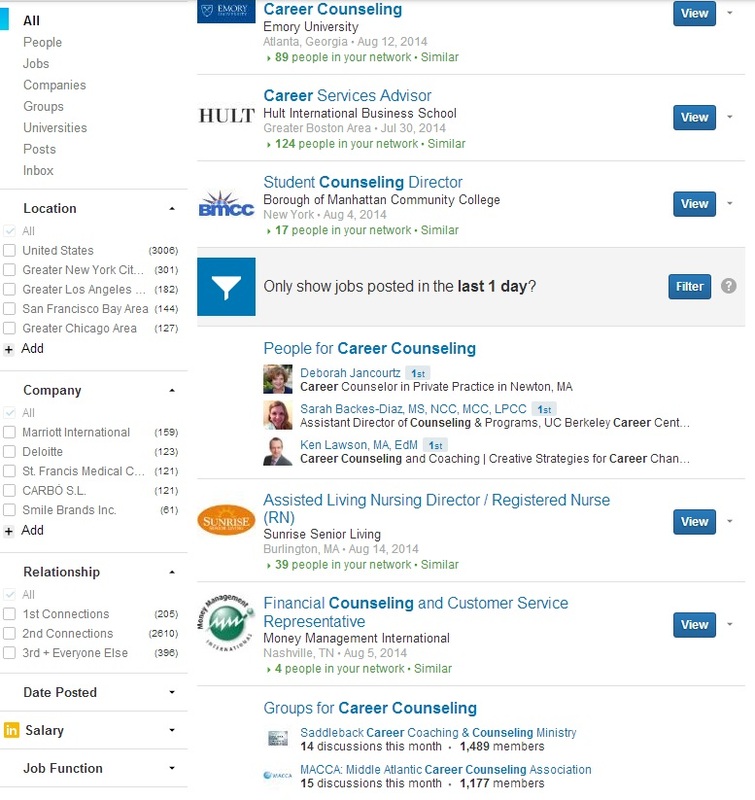 If you click on a particular skill or expertise, you will be brought to a page that suggests jobs you may want to pursue, people with whom you could connect, and groups to join. I find this particularly useful if I want to connect with someone who has experience with LinkedIn, as well as other expertise. section is not. This adds to Linked”s dynamism. 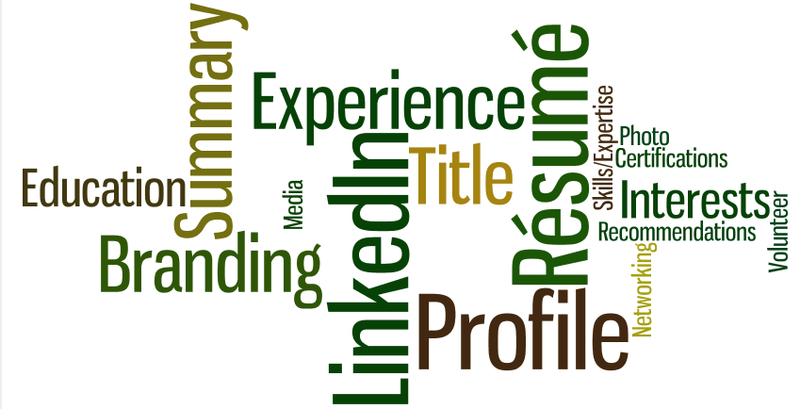 The next post will address the differences between the résumé’s and LinkedIn’s Summary statements. This entry was posted in LinkedIn, Résumé Writing and tagged Competencies, LinkedIn, resume, Skills and Expertise on August 17, 2014 by Things Career Related.